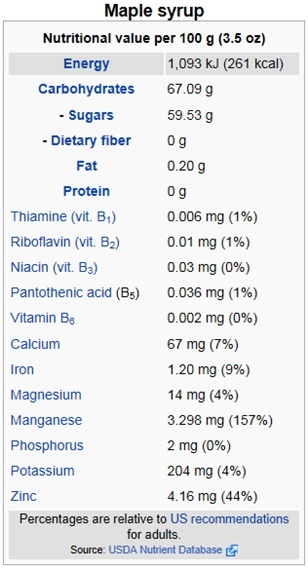 Maple syrup contains 68% carbohydrates, while most other syrups (corn, etc.) 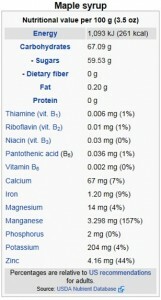 have 100% carbohydrates. 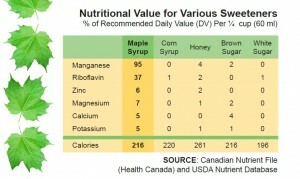 Below is a nutritional comparison of various sweeteners. As you can see using Maple syrup is a smart choice. 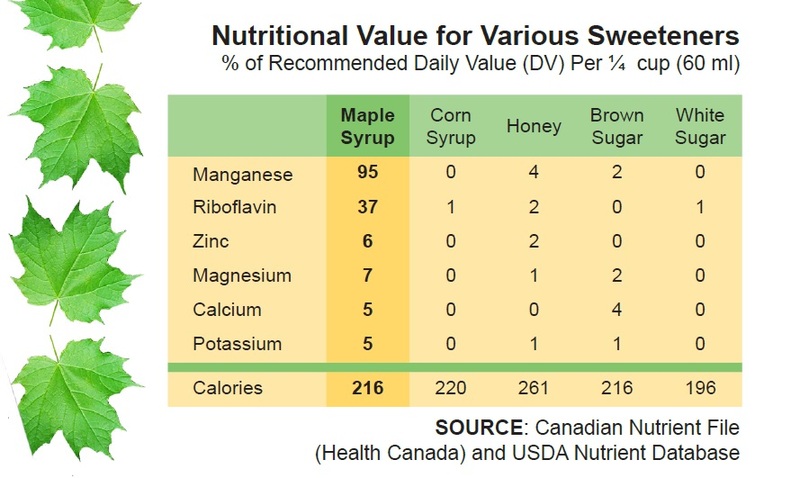 In addition to its nutritional benefits, scientists have found that maple syrup’s natural phenols – a potentially beneficial antioxidant compounds – inhibit two carbohydrate-hydrolyzing enzymes that are relevant to type 2 diabetes. Talk to your doctor.